Long time no posting... 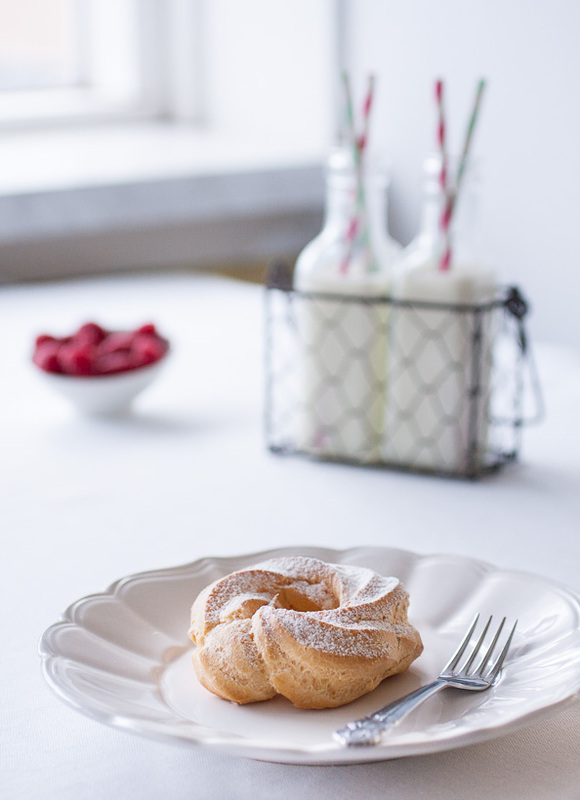 But I've promised to some of my followers on Instagram recently to share the recipe of these choux buns... So here it is! These choux buns are really popular in Russia. And they are on my list of favorite desserts... Crispy and firm on the outside, while the inside is soft and moist. Delicious treat which is really easy to cook. And if you can't buy tvorog to make a cream, you can always change it to mascarpone. 1. Combine water, butter and salt in a saucepan and bring to a boil. Let the butter melt and take the pan of the heat. Add all the flour into the mixture and mix with a wooden spoon until completely smooth. 2. Return the pan to a low heat. Stir the mix continiously for about 2-3 minutes to dry out the paste. The paste should form a ball and begin to come away from the side of the saucepan. Then put the paste into a big bowl and let it cool for about 5-10 minutes. 3. Whisk eggs in a small bowl, then start adding them into the flour mixture - a little at a time, mixing each addition well with a wooden spoon or mixer. At the end, the paste should be smooth and shiny with a thick ribbon consistency. 4. Preheat the oven to 200C. Line a baking sheet with baking paper. 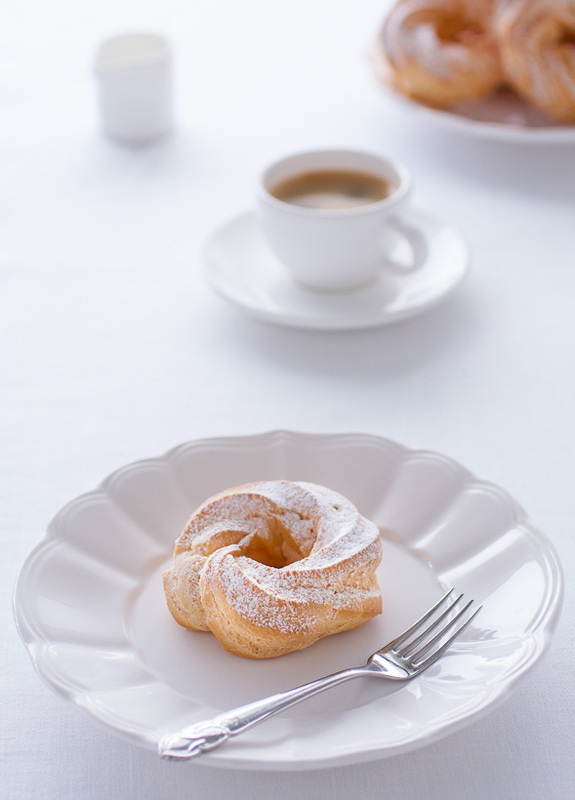 Put the choux paste into a piping bag fitted with a star pastry tip and pipe 6 rounds, each 10 cm in diameter. 5. Place the baking sheet in the preheated oven. After 15 minutes decrease the temperature to 180C and continue baking the buns for another 10-15 minutes. 6. Remove from the oven and transfer to a wire rack to cool. 1. Using an electric mixer, beat the butter with the icing sugar until smooth, then incorporate the condenced milk, congnac and vanilla extract. 2. Push the tvorog through a fine-mesh sieve or a strainer, rubbing with the back of a spoon. Combine with the butter mixture, until smooth and light. 1. Soak the gelatine in cold water to cover for 5 minutes. 2. Whisk the egg yolks and sugar together in a bowl to a light ribbon consistency. Add mascarpone and limoncello, mix until evenly combined. 3. Warm up 2 tbsp of cream in a small pan to about 50C. Drain the gelatine, squeeze out excess water and add to the cream, stirring to disolve. Pour into the mascarpone mixture, folding it in with a rubber spatula until evenly combined. 4. In another bowl, whip the cream to soft peaks. Using a rubber spatula, gently fold the whipped cream into the mascarpone mixture. Bismarck pastry tip. Make a hole in the base of each choux and fill it with the cream. You should be carefull not to overfill. To avoid empty spaces inside, make at least 4 holes. 2. 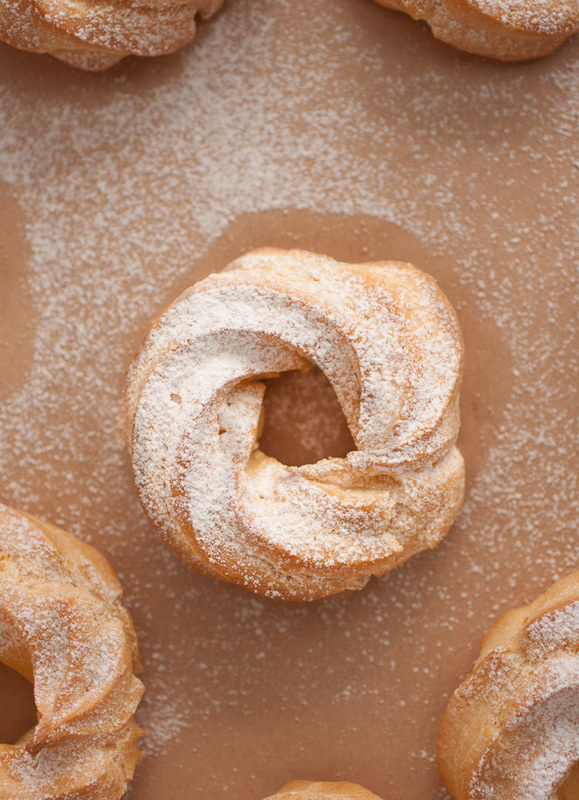 Dust choux with icing sugar. 3. Refrigerate for about 2 hours.